The emission of dioxins from the iron ore sintering process is the largest emission source of dioxins, and the reduction in dioxin emission from the iron ore sintering process to the environment is increasingly important. Three approaches to control the emission of dioxins were reviewed: source control, process control, and terminal control. Among them, two terminal control technologies, activated carbon adsorption and selective reduction technology, were discussed in detail. 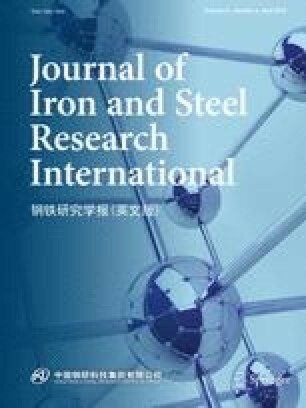 Following a comparison of the reduction technologies, the terminal control method was indicated as the key technology to achieve good control of dioxins during the sintering process. For the technical characteristics of the sintering process and flue gas, multiple methods should be collectively considered, and the most suitable method may be addition of inhibitors + ultra-clean dust collection (electrostatic precipitation/bag filter) + desulphurization + selective catalytic reduction to sufficiently remove multiple pollutants, which provides a direction for the cooperative disposal of flue gas pollutants in future. The authors acknowledge financial support from the Key Project of National Natural Science Foundation of China (U1660206) and General Program of National Natural Science Foundation of China (51674002).